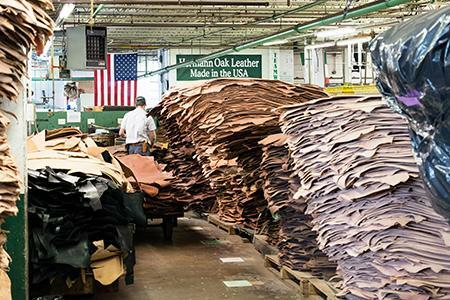 Since 1861, Hermann Oak has been tanning top-grain leather right here in Missouri. St. Louis-based, the company prides itself on its slow and careful tanning process. A process that produces the finest top-grain stamping and tooling leather in the world. The Hermann Oak name has become synonymous with high quality - a point of pride for distributors around the world, just like us! We offer Hermann Oak leather in a bevy of ways! We sell traditional veg tan/tooling, drum dyed, bridle and harness leathers. 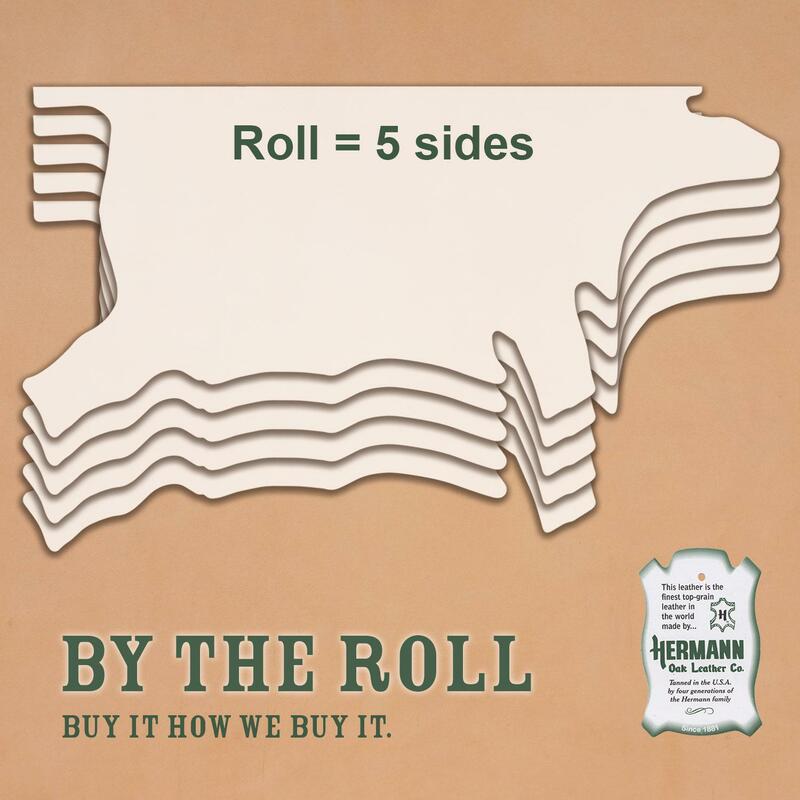 We sell those leathers in rolls, pieces (sides, bends, etc.) 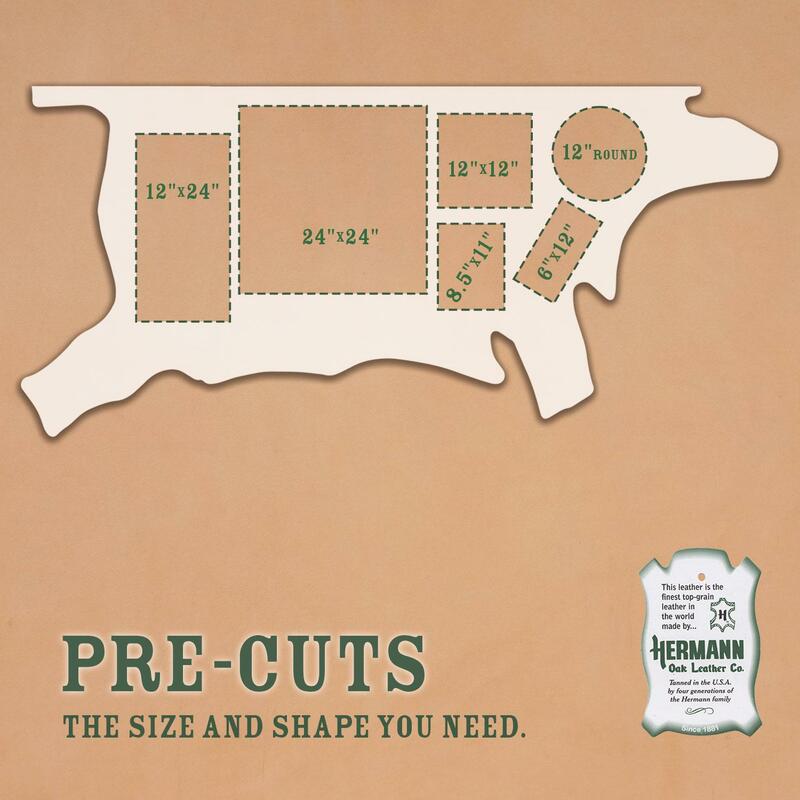 , pre-cuts and by the square foot. For your convenience, we have provided links to the different buying categories. Each category includes information about the advantages of buying Hermann Oak a certain way. 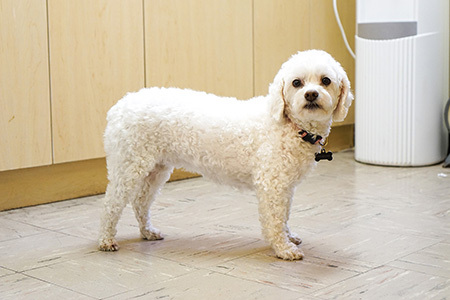 For example: buying the square foot allows you to only get what you need! Browse the links below to find your match! So, what makes Hermann Oak a cut above the rest? The answer starts with the tanning process. 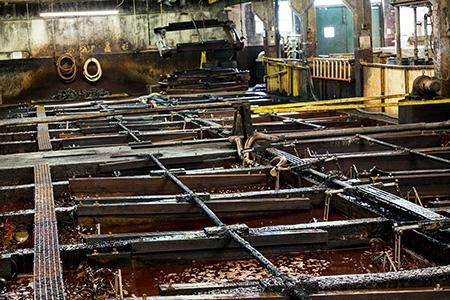 Notably, Hermann Oak vegetable tans its leather using a centuries-old process called Traditional Tanning. The coloring is natural, made from tree bark. Traditional Tanning works like a wood stain, preserving the natural look of the leather while adding depth to the color. Veg tan allows a leather crafter to do much more than chrome tanned leather. From tooling and stamping to molding, burnishing and patina, there are a variety of options. This time-honored method is especially great because of its influence on quality. 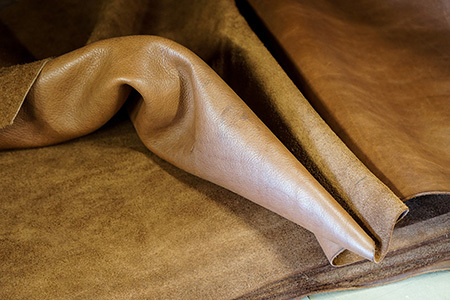 While this process is labor intensive and more expensive than other tanning methods, it produces leather that is dense, sturdy, holds its shape and is light-weight after oiling. While leather comes in many different grades, the quality is all about the tanning process. Hermann Oak's use of the pressed-yard traditional tanning method makes the quality of all of its pieces exactly the same. The grading is based solely on surface imperfections like tears or brands. 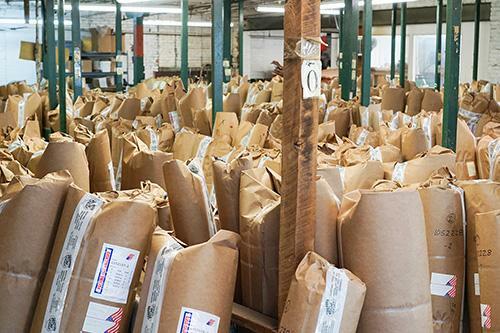 At Springfield Leather, we sell more lower grade Hermann Oak leather than any other grade because many parts of a D Grade leather are actually A Grade. 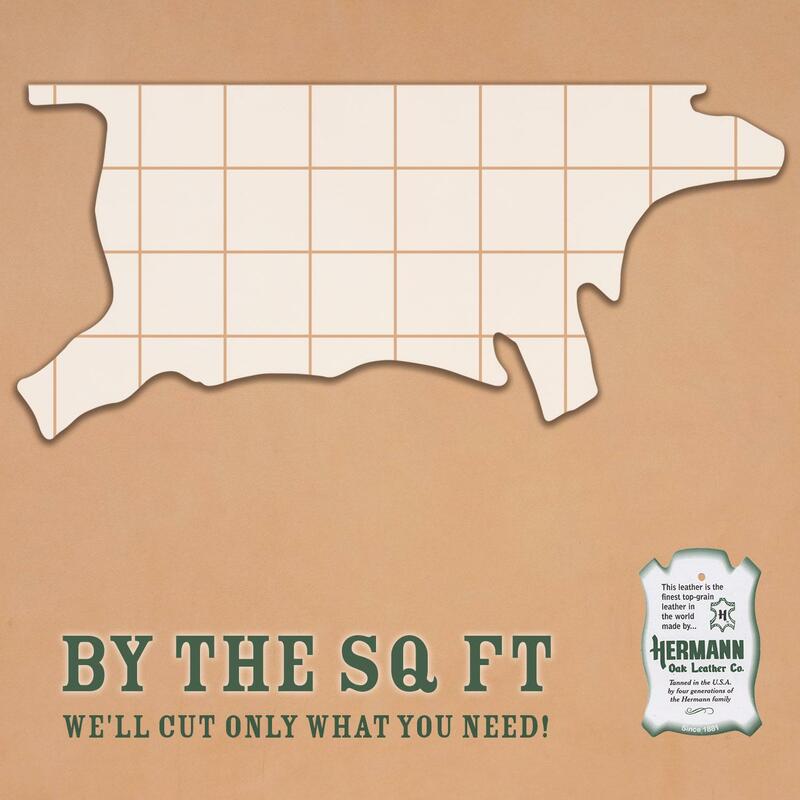 Hermann Oak's commitment to quality is exactly what has made it a household name for over a century! 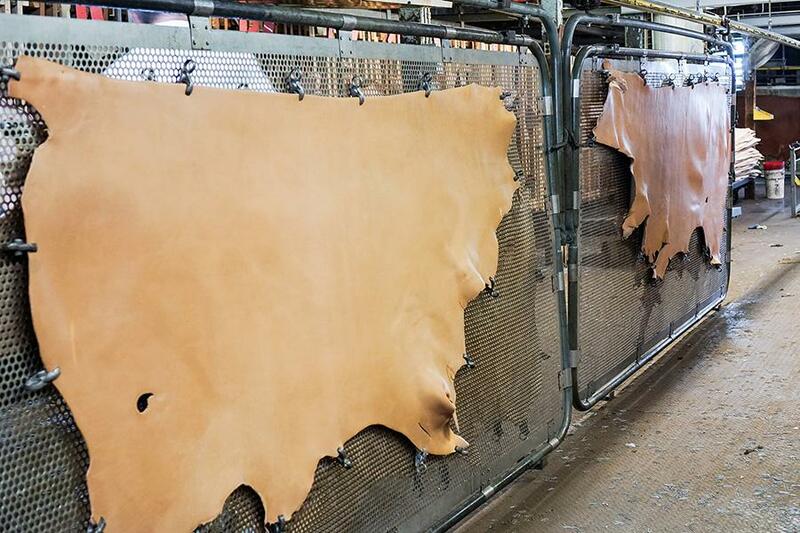 Many businesses use exclusively Hermann Oak leather because of its reliability and reputation. The company offers a variety of leathers from plain veg tan to specialized types of leather like English Bridle. Explore their offerings with Springfield Leather, a proud distributor of Hermann Oak leather. 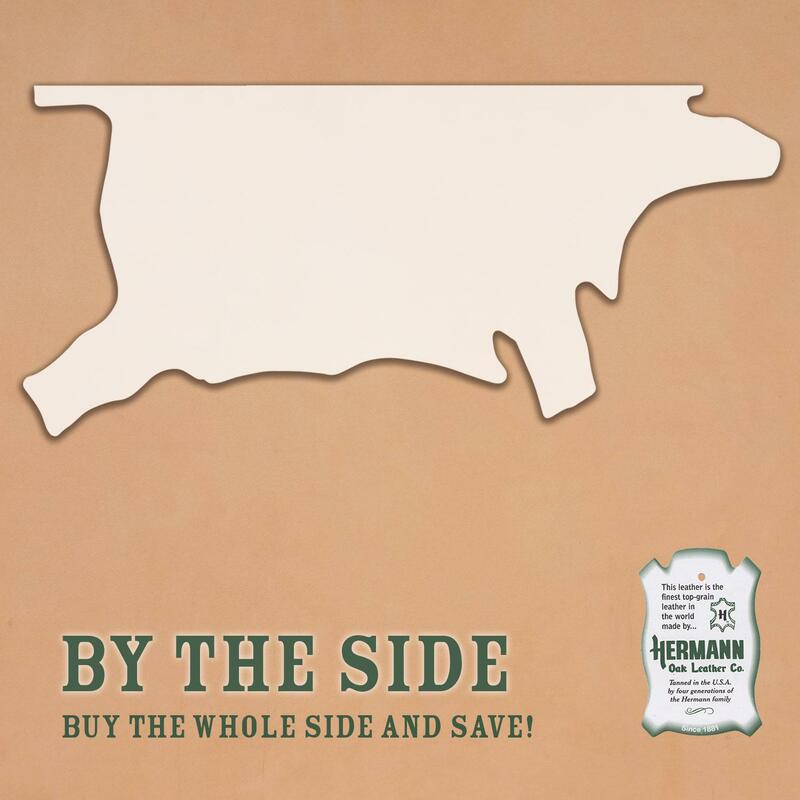 Our relationship with Hermann Oak extends beyond just buying and selling their products. Hermann Oak and Springfield Leather meet up at every event that we can and share a bit of our business with one another. 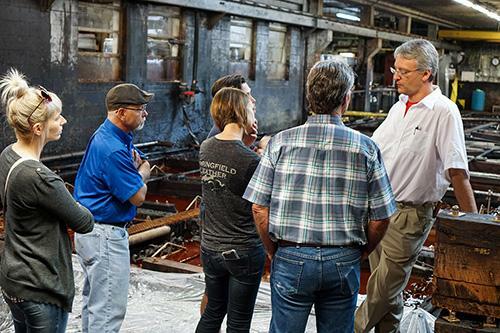 One thing Hermann Oak does for us is that they allow us to visit them from time to time, teaching us about their time-honored traditions and some of the modern twists that they're bringing to their tanning process. Below are some of the photos from our latest visit to Hermann Oak. There is a full gallery of all of our favorite photos available on Google.